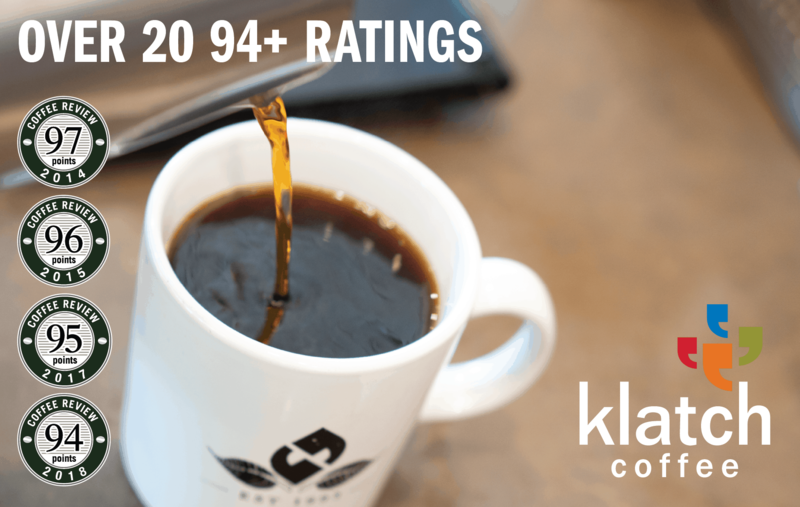 Below you will find 100-point ratings and reviews of coffees and espressos roasted in Taiwan. These coffees from Taiwan are listed in reverse chronological order by review date. Older coffee reviews and espresso reviews may no longer accurately reflect current versions of the same Taiwanese coffees. Evaluated as espresso. Intensely chocolaty, vivaciously fruit-toned. Dark chocolate, narcissus, pie cherry, molasses, sandalwood in aroma and small cup. Rich, syrupy mouthfeel. A resonant finish leads with cherry and narcissus notes in the short and sandalwood-toned chocolate in the long. In three parts milk, dark chocolate envelopes deeply stated fruit and floral notes. Evaluated as espresso. Crisply sweet-tart. Frangipane, dark chocolate, cedar, tamarind, jasmine in aroma and small cup. Crisp, velvety mouthfeel; nut-toned, richly tannic finish. In cappuccino-scaled milk, invitingly bittersweet, with notes of dark chocolate and jasmine in harmony. Sweetly pungent, floral-toned. Rhododendron, fine musk, black cherry, sandalwood, roasted cacao nib in aroma and cup. Balanced, bittersweet structure; velvety-smooth mouthfeel. The finish consolidates to cocoa-toned florals in the short and sweet aromatic wood notes in the long. Evaluated as espresso. Deeply expressed dark chocolate, magnolia-like flowers, grapefruit zest, date, cedar in aroma and small cup. Lean, though very smooth mouthfeel; chocolate-toned finish with hints of cedar. The chocolate deepens in three parts milk, enlivened by continued suggestions of magnolia and grapefruit. Evaluated as espresso. Bright, zesty-sweet. Baker’s chocolate, lemon zest, black cherry, fresh-cut fir, narcissus in aroma and small cup. Crisp, velvety mouthfeel; balanced, sweetly tart finish. In three-parts milk the coffee particularly impresses: rich chocolate harmoniously envelops tart fruit and sweet floral notes. Crisply sweet-tart, high-toned. Lemon verbena, cedar, pomegranate, lavender, maple syrup in aroma and cup. Sweetly tart in structure with bright, juicy acidity. The finish is deep and rich, with sweet, lemony herb tones, tart fruit notes, and hints of aromatic wood. Crisp, sweetly tart. Dark chocolate, pie cherry, cedar, honey, magnolia in aroma and cup. Bittersweet in structure with crisp, citrus-like acidity; velvety mouthfeel. The finish consolidates to honey-toned stonefruit in the short and dark chocolate in the long. Crisply sweet-savory. Lavender, roasted cacao nib, strawberry guava, hazelnut, toasted barley in aroma and cup. Sweetly floral structure with savory undertones; crisp, velvety mouthfeel. The cocoa-toned finish leads with spicy florals and tropical fruit in the short, grounded by pleasing notes of toasted barley in the long. Elegant, deep, sweetly savory. Jasmine, sandalwood, plum, nutella-like nut and cocoa, tangerine zest in aroma and cup. 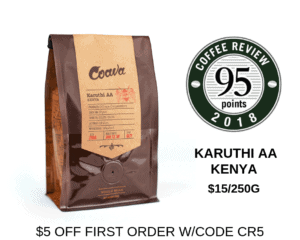 High-toned, balanced structure with citrusy acidity; syrupy-smooth mouthfeel. The finish is long, resonant and flavor-saturated, carrying through on the promise of the cup. Deeply crisp, lushly floral. Rose, almond, dark chocolate, lime zest, peppermint in aroma and cup. Tartly sweet with a clear savory edge in structure; plump, juicy mouthfeel. Finish is complex and resonant in the short, consolidating around a fading lime and mint in the long. A crisply sweet, accessible fruit-toned cup. Evaluated as espresso. Elegant, spice-toned, sweetly tart. Lilac, cedar, Concord grape, dark chocolate, almond in aroma and small cup. Full, syrupy mouthfeel; tart-leaning finish that centers around Concord grape and dark chocolate notes. In three parts milk, explodes with fruit tones beyond Concord grape: tropical notes of lychee, coconut underscored by dark chocolate, aromatic wood, and pretty lilac, all rounded and harmonized by the milk. Delicate, sweetly spice-toned. Roasted cacao nib, honeysuckle, thyme, caramel, apricot in aroma and cup. Balanced, sweet-savory structure; satiny, viscous mouthfeel. The richly drying finish consolidates to pleasing floral tones underscored by sweet herbs. Sweetly tart, crisply herb-toned. Gooseberry, bay leaf, freesia-like flowers, lightly scorched clove, dark chocolate in aroma and cup. Juicy, sweet-tart structure; plump, satiny mouthfeel. Low-toned notes of chocolate and sweet, gently scorched clove dominate the finish, with gooseberry complications more pronounced in the short and bay leaf in the long. Delicately sweet-tart, floral-toned. Strawberry, lavender, cashew, cedar, baker’s chocolate in aroma and cup. Lush and bittersweet in structure, animated by a vibrant, satiny-smooth acidity. The finish evokes fruit and spicy florals in the short, quieting to chocolate and nut butter in the long. Evaluated as espresso. Deeply sweet, floral-toned. Magnolia, pomegranate, baker’s chocolate, oak, molasses in aroma and small cup. Velvety mouthfeel; finish consolidates to baker’s chocolate and magnolia in the short, with oak resurfacing in the long. Resonant and balanced in cappuccino-scaled milk, with notes of magnolia and baker’s chocolate foregrounded. Balanced, crisply sweet-savory. Freesia-like flowers, toffee, starfruit, sandalwood, lime zest in aroma and cup. Bright, balanced, sweet-savory structure with juicy acidity; lightly syrupy, buoyant mouthfeel. The finish emerges with notes of starfruit and lime zest in the short and aromatic wood-toned toffee in the long. Delicately bright, deeply sweet. Red currant, roasted macadamia, myrrh, honey, dried hibiscus in aroma and cup. Balanced, high-toned, sweetly tart in structure; silky, buoyant mouthfeel. The finish is long, flavor-laden and confident, leading with notes of red fruit and tart florals in the short, followed by suggestions of honey-toned nut (think creamy macadamia) and elegantly musky myrrh. Evaluated as espresso. Fruit-toned, sweetly tart. Raspberry jam, almond, dark chocolate, narcissus, sandalwood in aroma and small cup. Plush, syrupy mouthfeel. The crisp, chocolate-toned finish is complicated by complex, jammy notes of raspberry in the short, consolidating to dark chocolate and sandalwood in the long. In three parts milk, fruit and chocolate deepen and round. Complexly layered, richly sweet. Ripe blueberry, sweet wood, grapefruit zest, dark chocolate, ginger flower in aroma and cup. Sweet, fruit-forward structure complicated by spicy floral notes; full, syrupy mouthfeel. The crisp, bittersweet finish centers on tart fruit and florals deepened by chocolate.